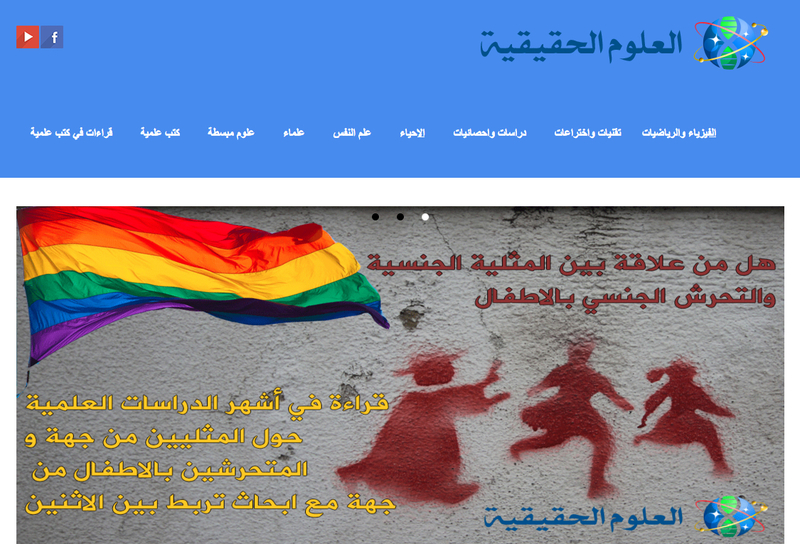 One of the most unique groups in this category is made up of young men and women who are fierce promoters of science as a partial answer to their community’s sectarian conflicts. 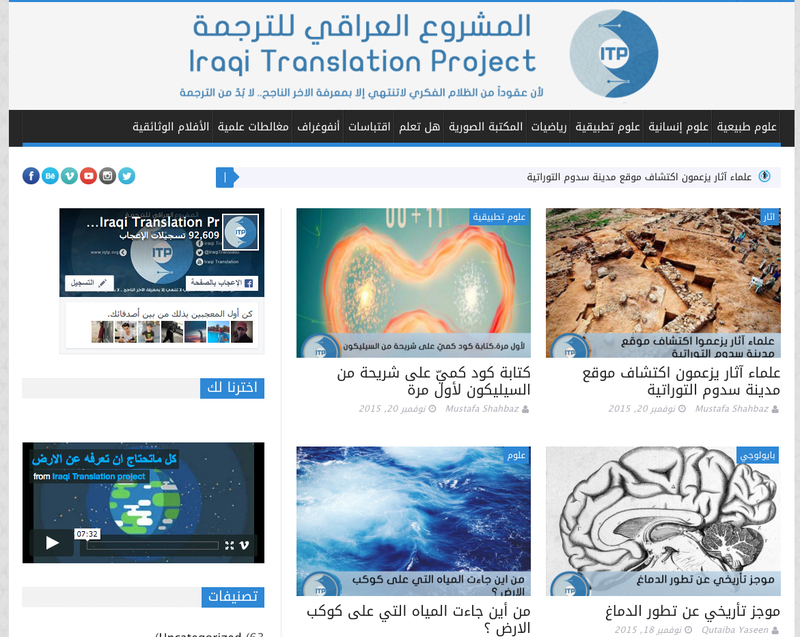 The group is called Real Sciences and works together with another associated group called the Iraqi Translation Project. Both groups have their own websites and they also have popular Facebook pages – boasting over 130,000 Likes from fans altogether - and they regularly post translations of popular scientific articles on everything from why human beings enjoy running to how cavemen used their hearing to, most recently, the apparent presence of waterways on the planet Mars. The group's translators often venture into fields not common among local Arabic readers such as the subject of evolutionary psychology. They also often cross red lines when topics touch on creationism versus Darwin's theory of evolution. One member has translated many important books by authors like British philosopher A.C. Grayling, US particle physicist and religious sceptic Victor Stenger, and US historian and noted atheist Richard Carrier. But he cannot be credited for his translations because he would be in danger; he uses an alias. The group (Real Sciences) was formed in 2012 because the members’ passion for science was not being fulfilled by the local market. The Iraqi book market predominantly sells religious books, which often promote hatred and sectarianism, books about Communism and old pan-Arab style books with nationalistic leanings. There are not many science books or magazines available at Mutanabi Street, Baghdad's famous street of book sellers, which pretty much represents what is available in Iraq; if you can't find it on Mutanabi Street, you won't find it elsewhere in Iraq. Street were either very scarce or mostly outdated. In 2011 the Real Sciences group was formed, with less than five people at that stage. 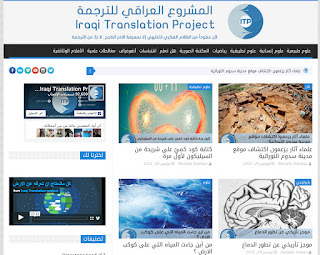 In 2013, some of the group members with a better command of English started the Iraqi Translation Project, volunteering to translate important scientific materials and promoting scientific breakthroughs via social media. Today the two groups work in parallel even though they no longer share members and are independent of one another. Members of the Real Sciences group and the Iraqi Translation group helped immensely with the preparation of this populist initiative, volunteering not only their time and effort but also their personal libraries, only to find themselves sidelined by other members of the group later on. Security threats are the main problem hindering the group’s progress on the ground today, says Atheel Fawzi, one of the Real Sciences group’s Baghdad-based founders. In fact, many of the group members have left the country over the years even while their presence on social media is still very strong. 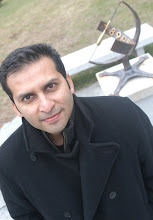 “While the group’s members were effective contributors at many independent and government-sponsored conferences and events, the fear of personal prosecution and the exodus of many of our valuable friends in the group were what stopped us from organizing ourselves into a registered NGO,” Fawzi explains. Read this fascinating article here. Science should be one of the means to save the nation from its present situation.Come on the youngs of Iraq.But for a quicker effect, the sciences revolution should be better conducted in the areas that the average people can benefit from like drug, new entertainment tools to make their life easier from a way they can really feel.